USS Indianapolis (CA-35) at sea. Note forward eight-inch (203mm) turrets, Curtiss SOC Seagull Scout Observation planes on the catapults amidships, and prewar paint scheme. 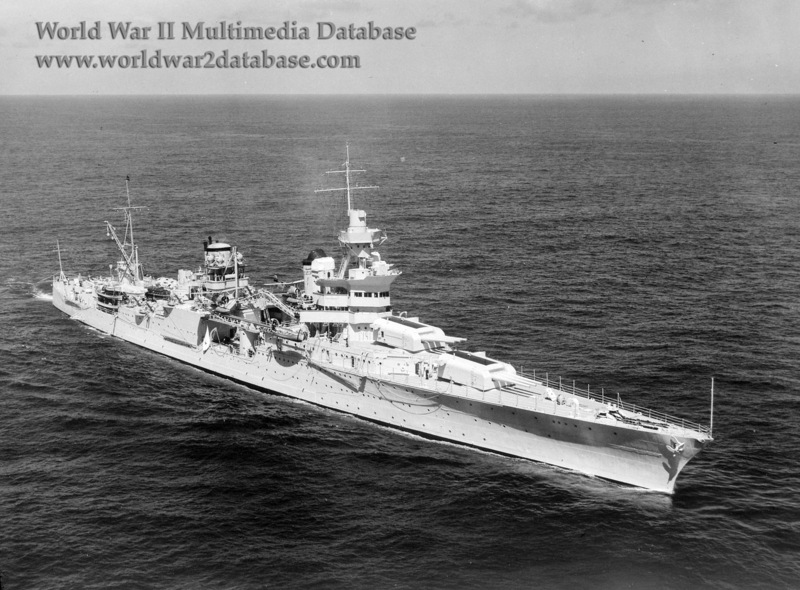 USS Indianapolis was commissioned on November 15, 1932. After shakedown and overhaul, she embarked US President Franklin D. Roosevelt for a short tour, the first of many trips. She served in the Pacific Fleet but participated in naval reviews in the Atlantic. In 1936 she took President Roosevelt on a "Good Neighbor" tour of South America. After the Pearl Harbor attack she searched for the Japanese First Air Fleet as they retired, but in vain. She then operated against Japanese targets throughout the Pacific, including Alaska, and escorted the dwindling number of American carriers throughout 1942. In 1943 she began to support amphibious operations, lending her main armament to shell targets in the Aleutians, Gilberts, Carolines, Marianas, the Japanese Home Islands, Iwo Jima, and Okinawa. Struck by a kamikaze on March 31, 1945, she was repaired at Mare Island Navy Yard. Because of her high speed and availability, she was chosen to carry the nuclear core of the atomic bomb to Tinian. Returning to Okinawa, she was spotted by Imperial Japanese Navy submarine I-58, under Commander Mochitsura Hashimoto. Hashimoto decided against a Kaiten suicide sub attack and hit Indianapolis with two torpedoes. Never reported overdue, the 900 survivors were attacked by sharks and died of lack of food or water or exposure. Only 316 of her crew of 1,199 were rescued, including Captain Charles B. McVay III. Hashimoto was flown to the United States to testify at the court-martial of McVay, who was blamed for the loss. McVay committed suicide in 1968.